Just learned that quilter Ann Loveless of Frankfort, Mich., won the $200K first prize in the 19-day Art Prize public voting contest in Grand Rapids, Mich. Her quilt is titled "Sleeping Bear Dune Lakeshore." There were 1,524 pieces of art submitted by 1,805 artists from 47 countries. Many have worked very hard to bring women recognition as artists. We have just learned of the passing of Linda Reuther, a powerful voice in the 70’s that helped bring this about. In her short autobiography published in Sojourn Magazine 1998*, Linda wrote, “The focus of my life has been supporting women in finding their voices.” Linda researched the world of 19th-century women and their quilts. This included co-curating shows at the Oakland Museum and the San Francisco Art Institute, working on the Amish quilt show at the deYoung Museum, and creating and operating a quilt gallery, Mary Strickler’s Quilt, in San Rafael in 1972 for ten years with her partner Julie Silber. The shop showcased wonderful antique quilts from all parts of USA. Although I don’t believe that Linda was ever actually a member of EBHQ, her life’s work is woven throughout our history and instrumental in what we have become…and will continue to grow to be. Click here for Susan Dague's tutorial on how to make fabric postcards. 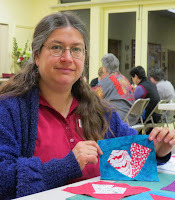 Saturday, March 2, over 20 of us went to Textile Dreams Studio to learn how to make fabric postcards. Sue Fox showed us how it is done, provided us with lots of materials, and gave us good design tips. It is all very easy. She had lots of examples to get us going. The point is to loosen-up, have fun, make something. It was ok to repeat oneself - we didn't have to make all separate creations. It was a chance to use those decorative stitches on our machines. Since last summer your Membership Outreach Committee members have been holding a monthly Modern Quilters MeetUp as a marketing tool to attract a new generation of quilters. After developing and refining this idea, we are now ready to open the MeetUps to all EBHQ guild members. 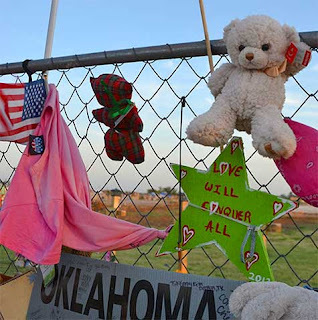 Attendees are encouraged to bring a perspective member as a guest. EBHQ members attend at no cost, visitors $5. The MeetUps take place the second Thursday evening of each month and the format differs from Drop-In. Starting at 6:30 pm with a potluck, a Tips & Tricks segment with a short demo follows at 7:00. Show & Tell is next and/or time to work on individual projects. At 8:45 we start folding up and close at 9:00 pm. The MeetUps take place at the United Methodist Church, 980 Stannage Avenue, Albany, CA. The church is on the corner of Marin and Stannage, two blocks from San Pablo Avenue. map Entrance to the MeetUp is on Stannage Ave., on right side of the building. Go through the wooden gate to the clear glass doors. The upcoming dates are: March 14, April 11, May 9 and June 13. 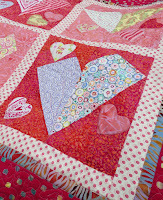 Here is encouragement to keep making the quilts we donate to worthy causes. Take a minute to read this note of appreciation from the Onesie Twosie organization of Kensington.